Midsummer in the mid '70s sets the scene for this year's Giffords Circus show which makes a welcome return to Chiswick House in summer 2019. 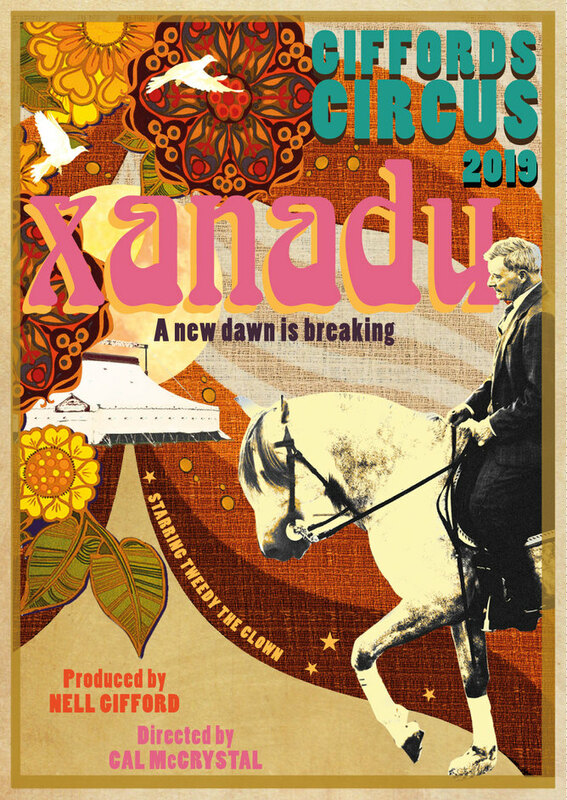 Nell Gifford, Tweedy the Clown and the glorious Giffords Circus troupe become hippies, hipsters, wild women and global nomads for Xanadu, the show fuelled by flower power. Or should that be flour power? Well, Tweedy certainly thinks so and he's taken a job in the kitchen to get down with the cool kids. Groovy new acts joining in 2019 include Lil Rice, niece of Nell Gifford and daughter of Emma Bridgewater, with her amazing cyr wheel act, Anna Rastsova on the swinging trapeze and the daring Donerts, a family who hail from Hungary, perform a pas de deux and vaulting act. They join the acrobatic Curatola Brothers as a family of out-of-towners get caught up in the celebrations and the police are called in. It's all wonderfully eccentric fun and ends with a fast paced finale followed by a dance with the cast at the end. Makes you want to run away and join the circus. What are the best dining options near Giffords Circus: Xanadu London? Giffords Circus: Xanadu gyms, sporting activities, health & beauty and fitness. The best pubs near London Giffords Circus: Xanadu. Giffords Circus: Xanadu clubs, bars, cabaret nights, casinos and interesting nightlife. Where to have your meeting, conference, exhibition, private dining or training course near Giffords Circus: Xanadu. From cheap budget hotels to luxury 5 star hotels see our discounts for Chiswick House and Gardens hotels, including Dorsett Shepherds Bush from 84% off.